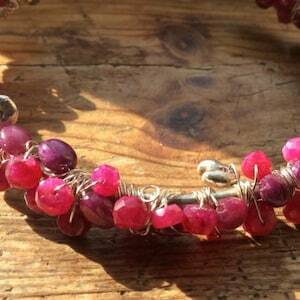 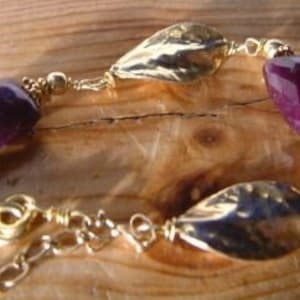 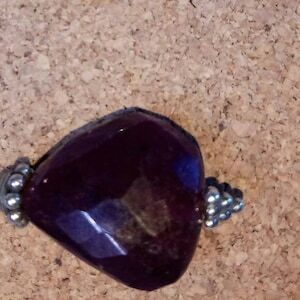 Gemstone charm bracelet. 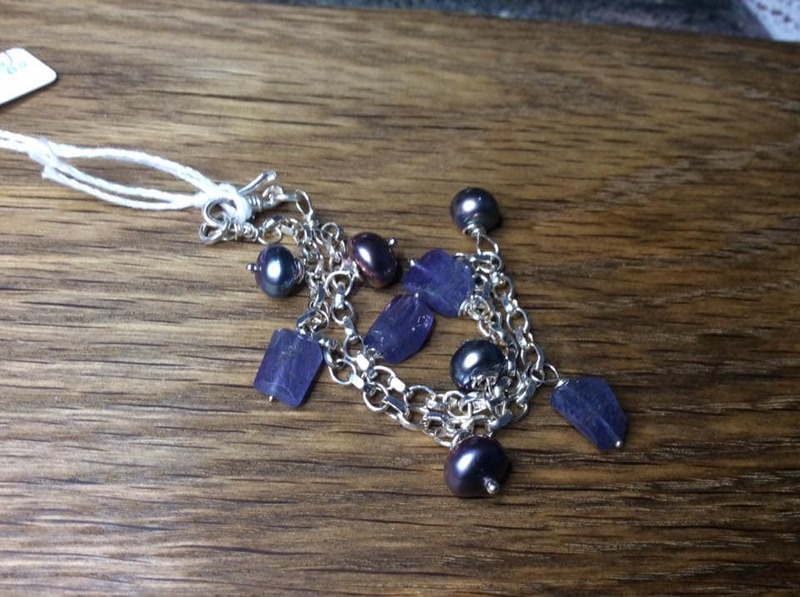 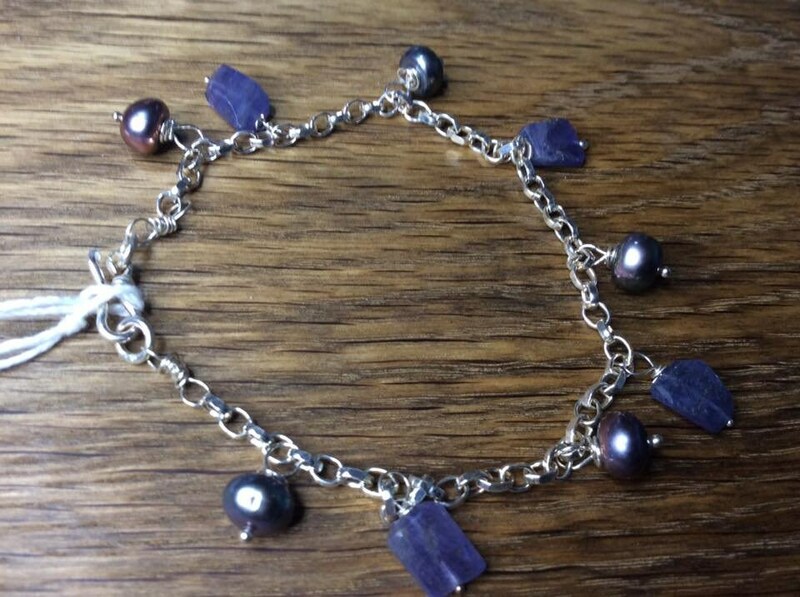 Tanzanite and black pearl silver gemstone bracelet. 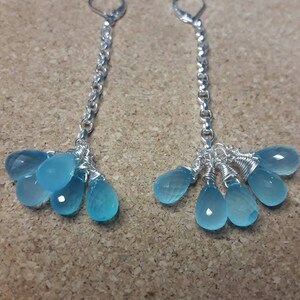 There are earrings to match and I could make a necklace too if you want.